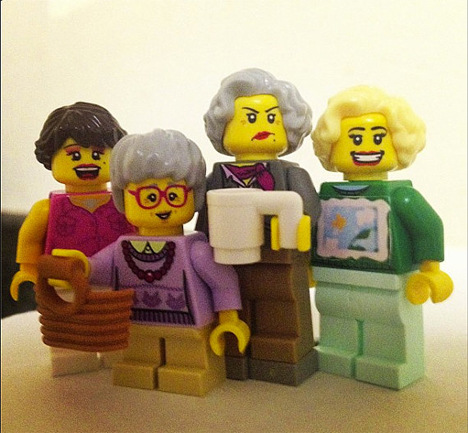 We used to spend entire days building and rebuilding entire LEGO cities, but there was always one very important thing missing from our brick towns: sassy seniors. 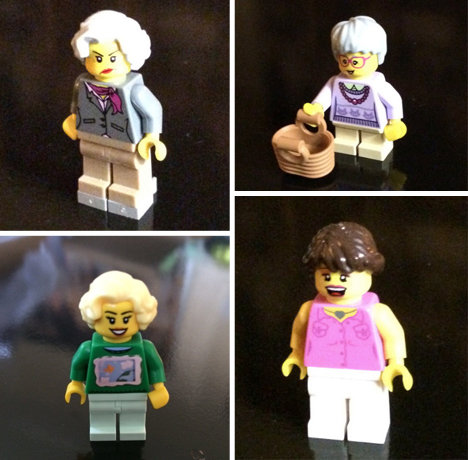 These Golden Girls minifigs were custom made by Etsy seller GoldenBrickLadies, and they are what we never knew we’d been searching for all our lives. Complete with Dorothy’s grouchy expression, Rose’s perma-smile, Sophia’s mischievous grin and Blanche’s overt sexuality, these GG minifigs are basically the most fun and realistic set we’ve ever laid eyes on. The ladies even have outfits that perfectly represent their characters. If you’re itching for your very own poseable Golden Girls, start saving up: it’s $100 for the complete set (totally worth it). See more in Gaming & Geek or under Gadgets. November, 2013.